A double suicide bombing has killed 27 people in Baghdad, officials said, the second such attack in the Iraqi capital in three days. An interior ministry official said there are 27 dead and 64 wounded. Two men detonated explosives vests in Aviation Square, a commercial district and gathering point for day labourers seeking work, according to the official. 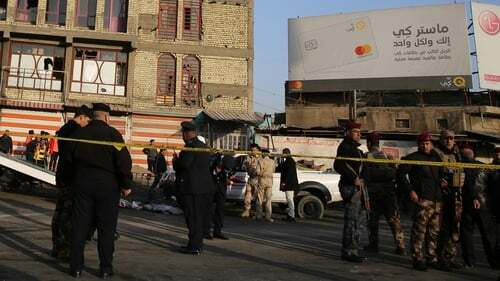 It has been the scene of deadly attacks in the past. An AFP photographer at the site of the bombing said many ambulances had gathered and security forces had been deployed in large numbers. There was no immediate claim of responsibility, but most such attacks in Iraq are the work of the so-called Islamic State militant group. In December, the government announced the "end of the war" against IS, which has been expelled from the Baghdad region and urban areas of Iraq that it controlled. Elements of the group are still active north of Baghdad.